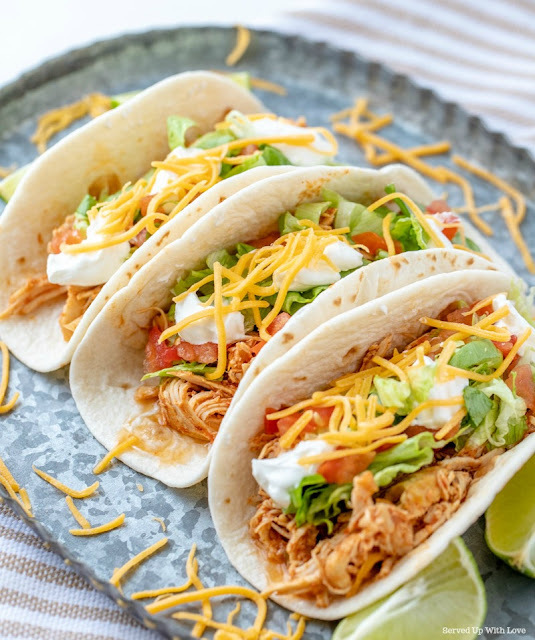 These Crock Pot Chicken Tacos are so easy to make with only 3 ingredients. 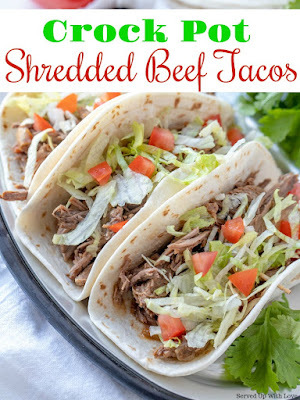 Its a simple dump and go kind of recipe that will quickly become a family favorite. When I need something that is quick to put together on busy days, I turn to my crock pot. It gives me that extra hand when I need it the most. 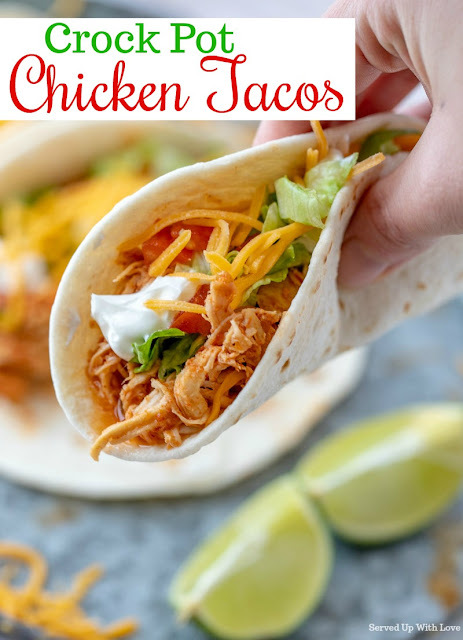 My kids love anything taco related and those kind of recipes are the most requested. My recipe for Taco Pie gets requested from my kids and all of their friends. I keep bags of frozen chicken breasts in my freezer so if I need just one chicken breast I don't have to thaw a bunch at once. It is super convenient. For this recipe I usually just throw the frozen chicken in, add the seasoning and salsa, turn the crock pot on and walk away. The kitchen smells so good as this is cooking away. Once its done, I just shred up the chicken and they are ready to fill the tortillas. 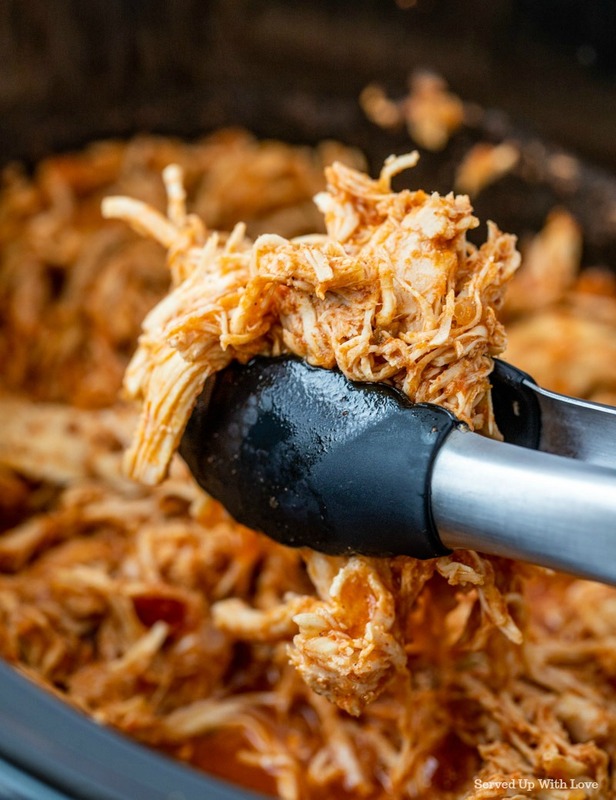 Have you seen the videos showing a hand mixer shredding the chicken? Oh my goodness, it totally works. I don't know why I took so long to try it. If you haven't tried it yet, give it a whirl. It will rock your world. 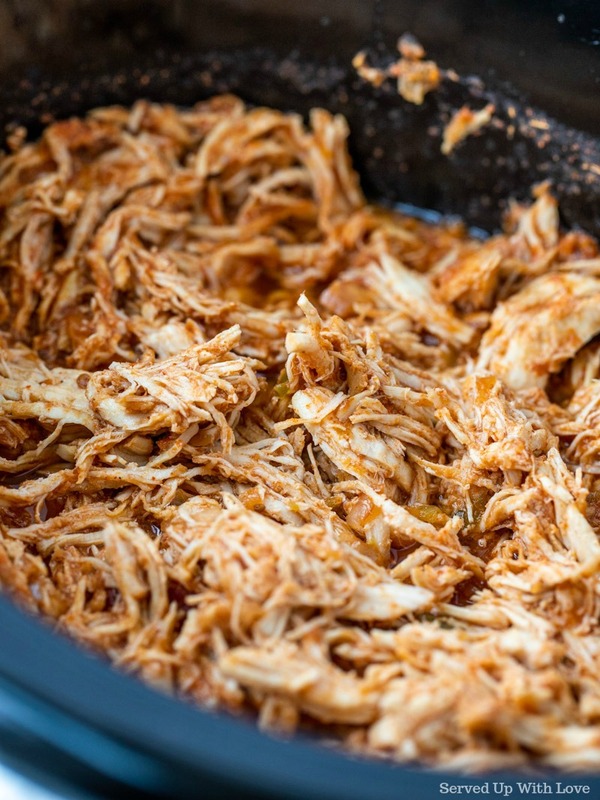 This makes a ton of shredded chicken. I love to use this recipe for company and especially on game day. You can use the leftovers to make enchiladas, nachos, or any recipe that calls for taco meat. Or you can freeze extra for nights you need something quick and easy. Lay out all your fixings and have a fiesta! 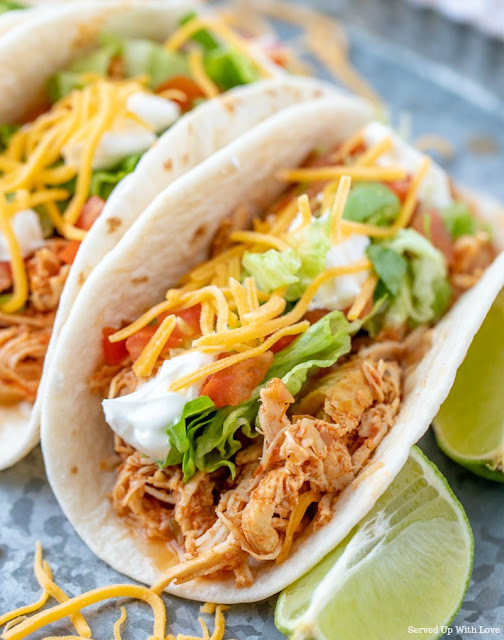 Taco Tuesdays have never been more fun or delicious! Only 3 ingredients to flavorful, shredded chicken tacos. Just grab your favorite toppings. Sprinkle the taco seasoning on top of the chicken and pour over the salsa. 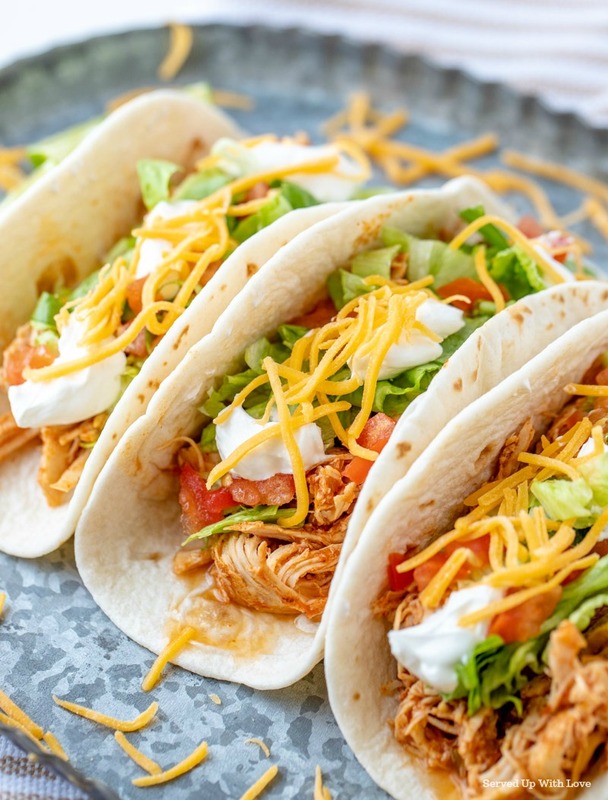 Shred chicken and fill tortillas. Top with your favorite fixings.